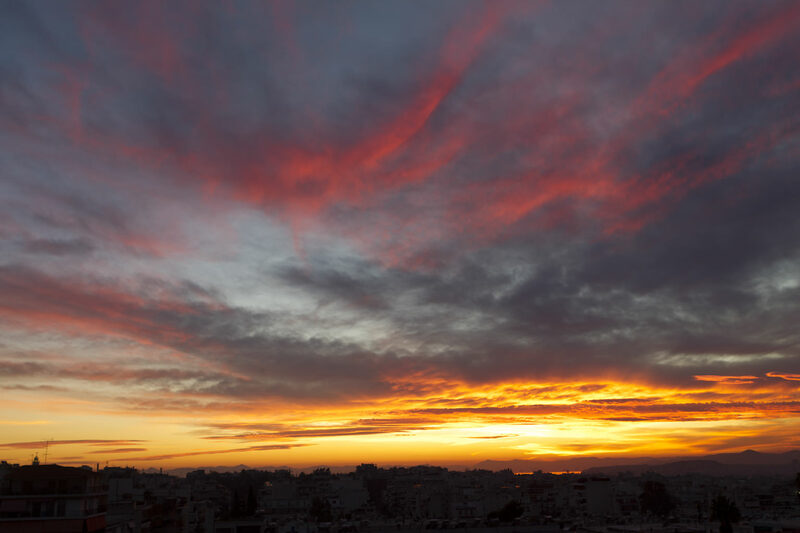 Check this unique Athens sunset photos shot from my balcony on 11th of January 2015. The weather was warm today following a very chilly and cold week in Athens and central Greece. The colors are something different from what we are used to seeing in Athens, Greece.